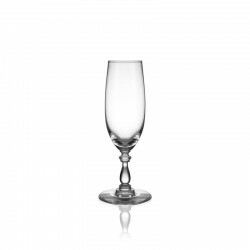 CHAMPAGNE GLASSES There are 7 products. 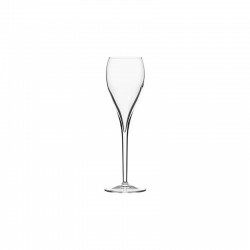 Esprit CHAMPAGNE has been designed to exalt the aroma of champagnes. 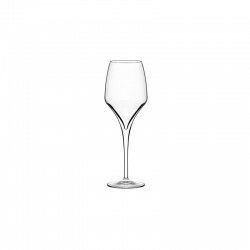 The angular shape that terminates in a conical peak and tightens around the globe provides perfect aeration, combining the effects of free bubble circulation and optimum contact with air. 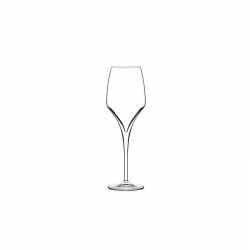 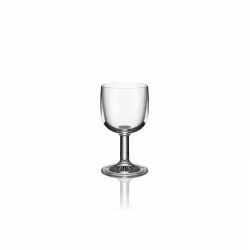 Tapered to contain just the right volume while minimizing aeration, this glass has a frosted area at the base to help columns of bubbles rise to the surface. 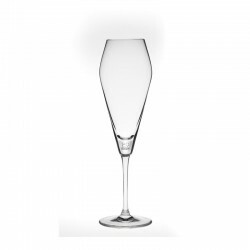 The widest part at the top of the glass intensifies the perception of aromas and hinders their dispersion.